Ahmed is a member of our Dispute Resolution team in Abu Dhabi. He has extensive knowledge of civil and commercial laws and the corresponding court processes in the UAE. 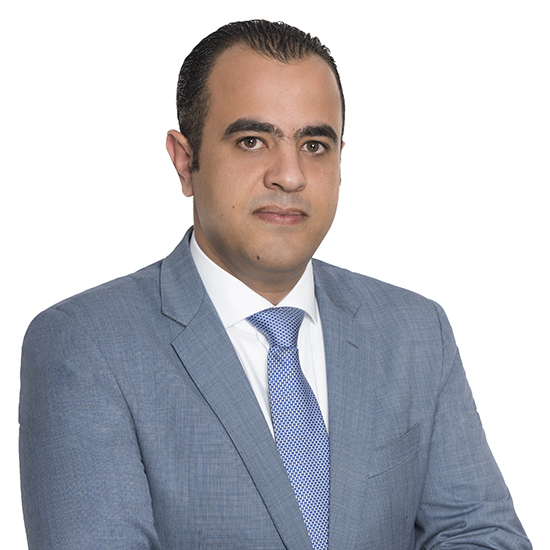 With his specialist knowledge of the procedural law Ahmed advises clients on the court procedures for a range of business transactions, claim liabilities, prosecution and defence procedures. Prior to joining Hadef & Partners, Ahmed worked at a reputable law firm in Abu Dhabi as a legal researcher, where he handled all court procedures including the execution of criminal cases. Ahmed is experienced in drafting memoranda, statements of claim and appeals. Ahmed is a member of the Arab Advocates Union and the Egyptian Bar Association and has represented clients before Egyptian Courts. He holds an L.L.B from Zagazig University, Egypt and speaks both Arabic and English.